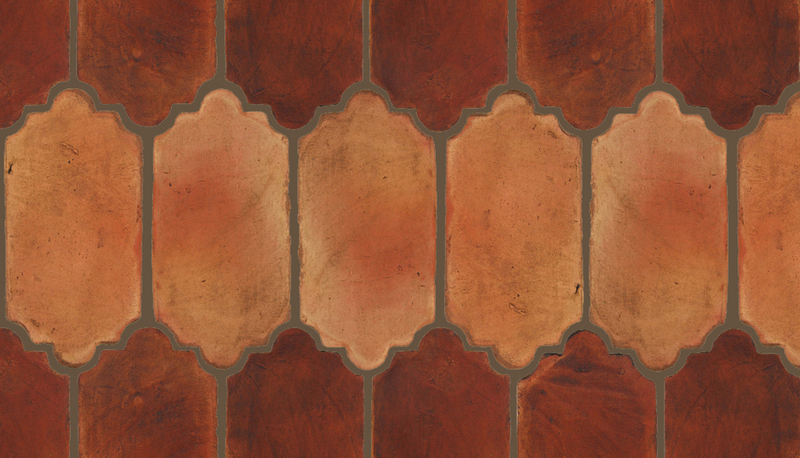 Decorative Designs: To see all the available designs in the 3 different decorative styles (Hand Painted Glazed, Outline and Embossed) go to Pedralbes Decorative Designs page. Traditional (TR) Color: Designs in Traditional color background are shown with high color variation (yellows and reds). 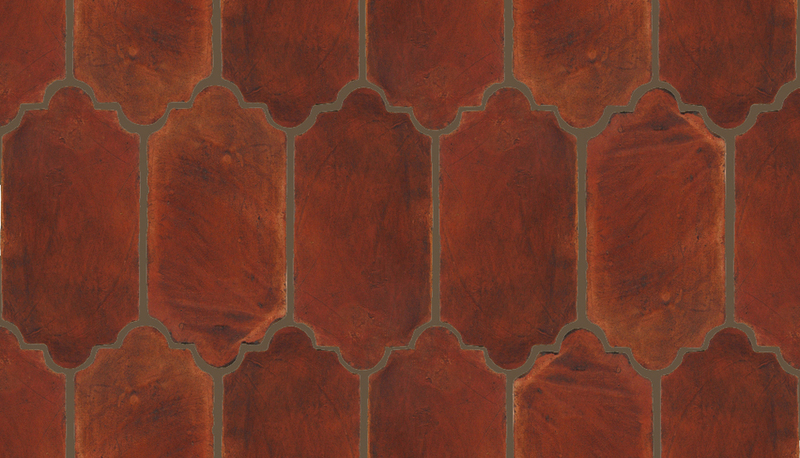 Current production is stained to be more uniform in color with a medium ocher-reddish tone. 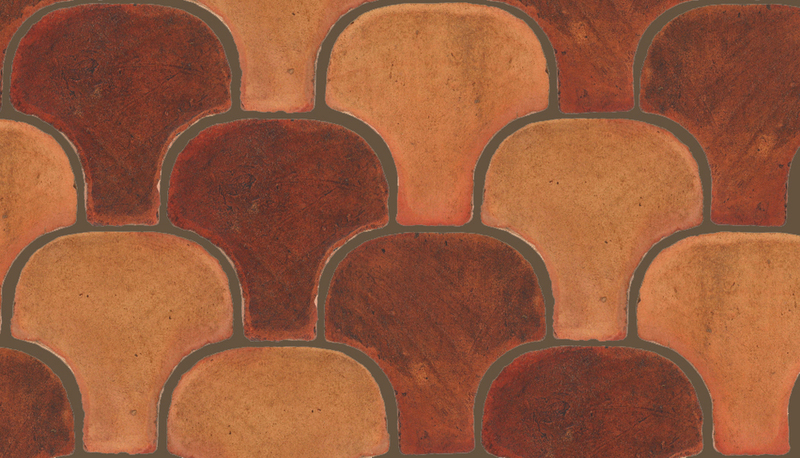 To see the current color range for Traditional color go to Pedralbes Terracotta Colors page. If a background look closer to the photos shown here is desired, please specify "no stain - with natural color variation". Please note that the natural color range will be "as is", with no control over the amount or percentage of yellow and red tones. 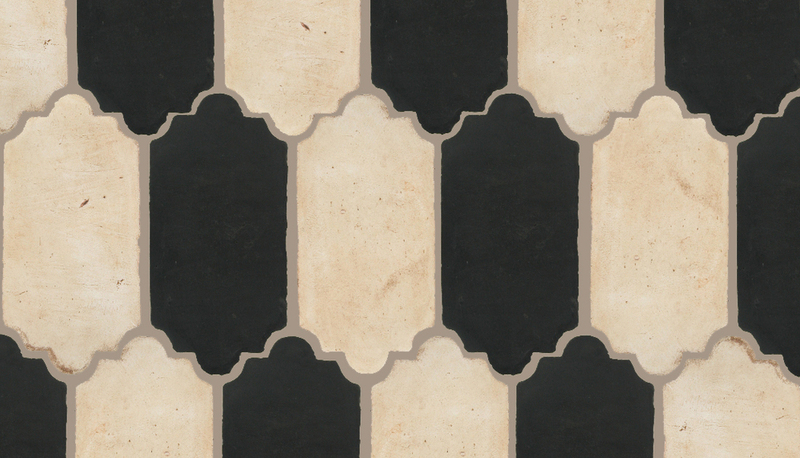 Antique White (AW) Glaze on Old World (PSOW) Background Color: Designs shown have the AW Glaze with high color variation (light and dark tones). 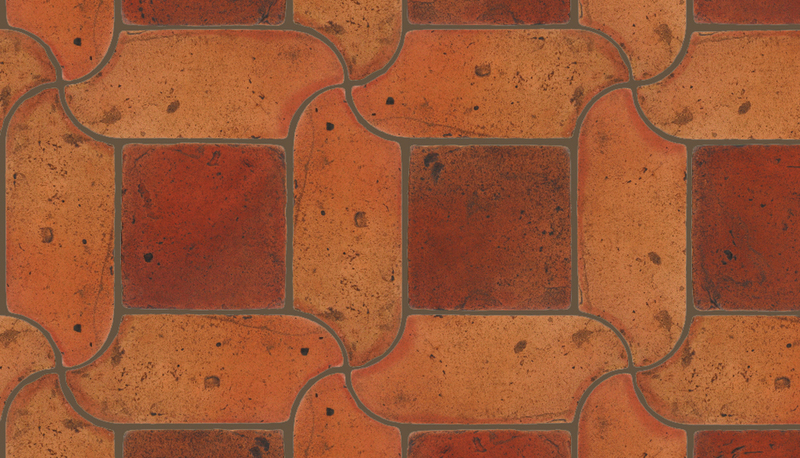 Due to supply changes, current production has a more uniform AW Glaze, with lighter tone range. To see photos of current production go to Pedralbes Hand Painted Glazed Designs page. 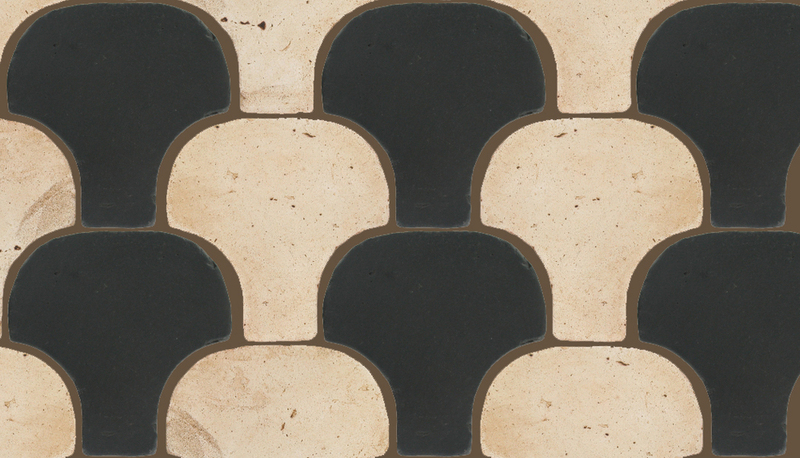 Thickness: Some patterns are made combining sizes with different thicknesses. Usual thickness differences are between 1/8" and 1/4", but some may be up to 1/2". 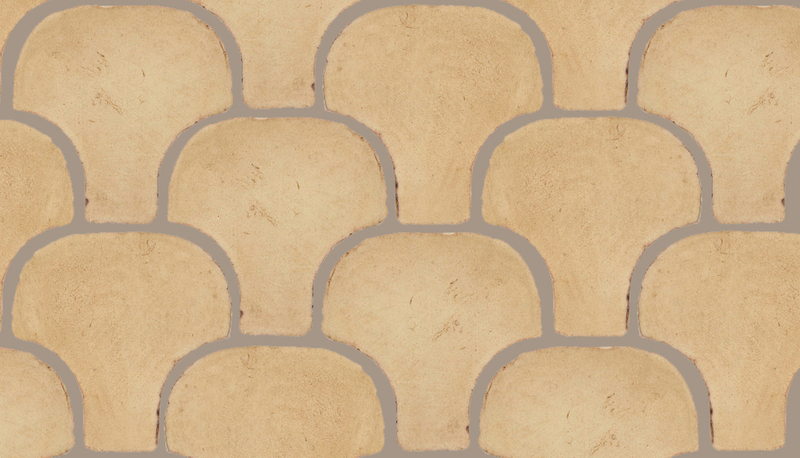 Grout Joint: Use joint width to adjust each tile and pattern. Joint width may have to vary within the same pattern for proper fit. 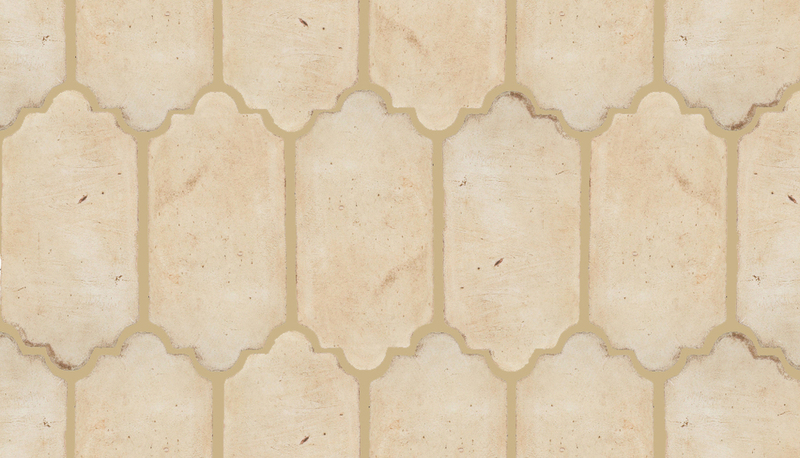 In general, a tight joint - 1/8" to 1/4" - is recommended, if tile size allows for it. 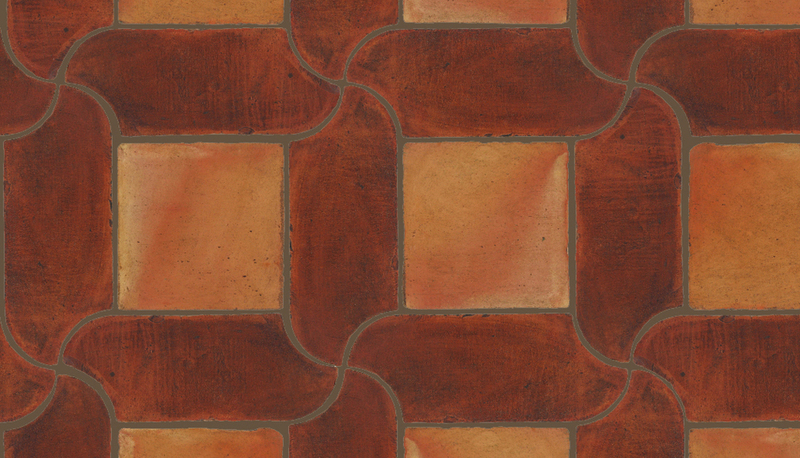 Due to the 100% handmade drying and firing process, larger sizes will tend to have larger size variation within the same tile or between tiles of the same lot.